Titanic White Star Lines Sextant with Rosewood Box 5"
Antique Copper Sextant Christmas Ornament 5"
Chrome Decorative Sextant Christmas Ornament 5"
Chrome Decorative Sextant Paperweight 3"
Antique Copper Sextant Paperweight 3"
This classically styled antiqued sextant is a beautifully crafted piece that brings an important part of maritime history into any nautical collection. Featuring a gorgeously polished antique finish, this sextant brings an air of class and sophistication to any room in which it is displayed. This sextant can be placed on any desk, table, shelf, or display case to add a carefully constructed conversation piece to your home, office, or boat. 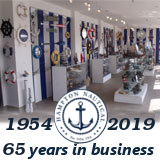 Aiding greatly in the promulgation of marine sextants to the nautical world, in 1777 Jesse Ramsden invented the perfect dividing engine, allowing for instrument scales to be engraved quickly, accurately, and at little cost. With this technological advancement smaller and more affordable instruments could be manufactured and utilized by the common sailor. At this exact time, halfway around the world, the legendary sailor and explorer James Cook was utilizing the celestial navigation sextant to create the first detailed maps of the Pacific. On an expedition ending in Tahiti in 1769, Cook used the celestial navigation sextant to observe and track the transit of Venus across the sun. Along with this primary task, Cook was assigned to further explore the South Pacific, first in New Zealand, and later onto the east coast of Australia, using the navigational sextant to find his way throughout the journey. When he finally landed, Cook used the sextant on shore to check the readings he had taken at sea and verify their accuracy. Returning from his voyage, the sextant became an iconic symbol of both Cook and nautical navigation. 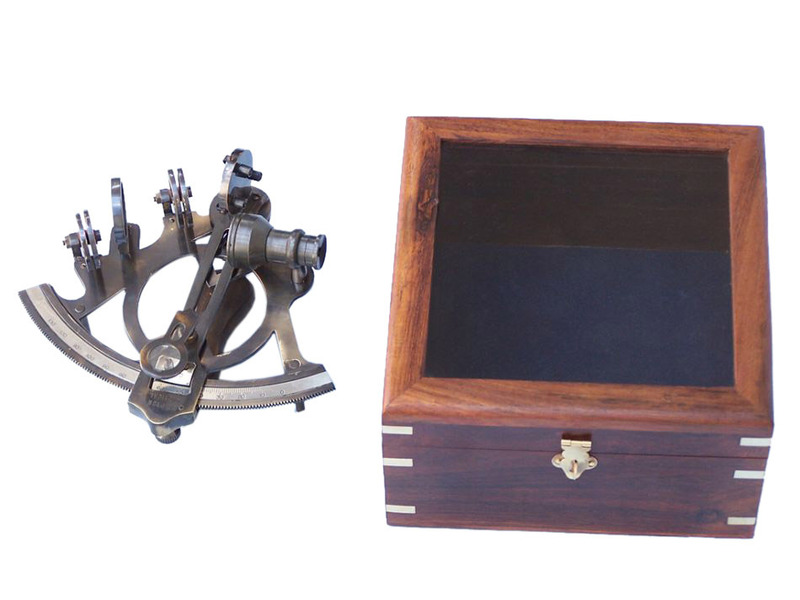 For the next two centuries, across the western world, the celestial navigation sextant was an essential tool in navigating on land and at sea.